What story have you kept in the cocoon? What would happen if you wrote it out, just for you? In this dual focus workshop, we’ll consider our heroes, both famous and family, who have inspired us. Using them as inspiration, we’ll write our cocooned core stories. 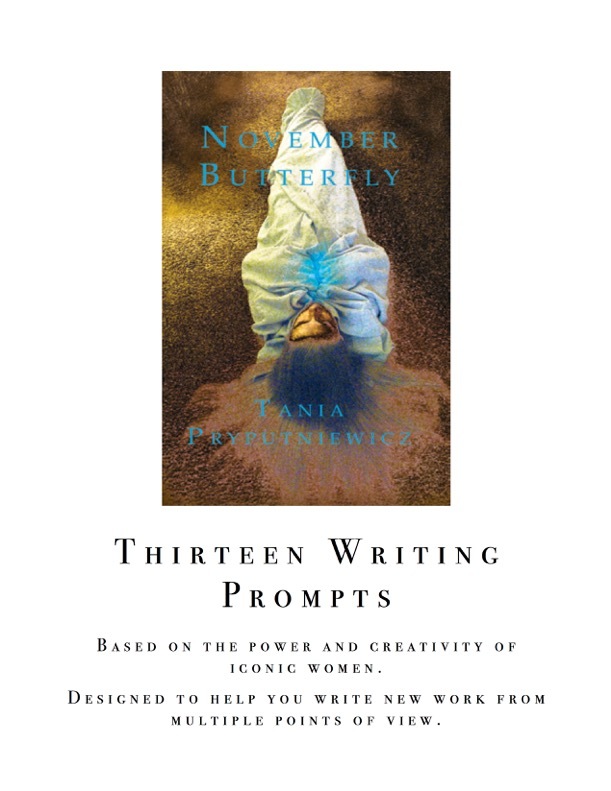 We’ll also explore the butterfly and hero metaphors via colored pencils and paper cutouts. Art supplies provided. No prior writing experience necessary. Sonoma County’s Coffee Catz holds a special place in my heart; not only did I get to spend Friday mornings for a few hours writing when my children were babies (Grandpa and Grandma took over every week so I could sneak away), but we even hosted the baby shower for my firstborn in the back room behind the velvet curtain. Owner Debbie chatted me sweetly all through my first pregnancy and the next. I am so thrilled to return to use that back room to celebrate November Butterfly’s release. Come out and write with me for an hour; we will follow our writing workshop with a reading and book signing. Please contact me to pre-register (preferred method) or sign up at the door. Video Illustrations for seven of the poems. Tania Pryputniewicz has captured, with exquisite timing, eye and taste, the iconic power of our great archetypes, be they ancient or contemporary. Time spent with her work is always enriching. 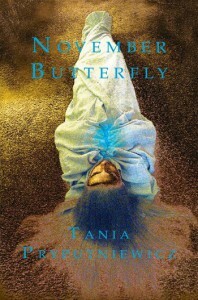 In November Butterﬂy, the lyrical I looks into the mirror to ﬁnd a different face with each pass. In this way, Pryputniewicz maintains the intimacy of the poetic I while expanding the personal lyric to a global resonance. As Ophelia, Jeanne d’Arc, Nefertiti, Amelia, Lady Diana, Marilyn and Sylvia come to reﬂect, we too ﬁnd ourselves dissolving into the mirror…. Pryputniewicz threads the narratives of multitudes into the singular I; with her gift of deep empathy, imagination, and lyricism, she gives readers the chance to live again and again and again. Reading, we enter a world in which Guinevere loves and does not love; we glimpse her as a girl wearing “pale slippers like falcon hoods, / so lethal, so light.” Later, she is a woman, shimmering, conﬂicted, drawn to a great, obliterating love…. What does it mean to love, deeply, passionately, and in ways that will make it impossible to return to the life one was living before? What does it mean to link the great streaming magic of the everyday—to a real day? Divination and sacriﬁce offer us a way through. Pryputniewicz does not ﬂinch from the challenges of the labyrinth—pathways that might lead equally, or randomly, to betrayal or desire. “So easy to muck the translation,” she writes, “no common language— that gap between the self one loves and the self one fears.” Her book gives us some courage—as we read and breathe that gap—to return what we ﬁnd there to our own shattered and shattering, quotidian and startling lives. 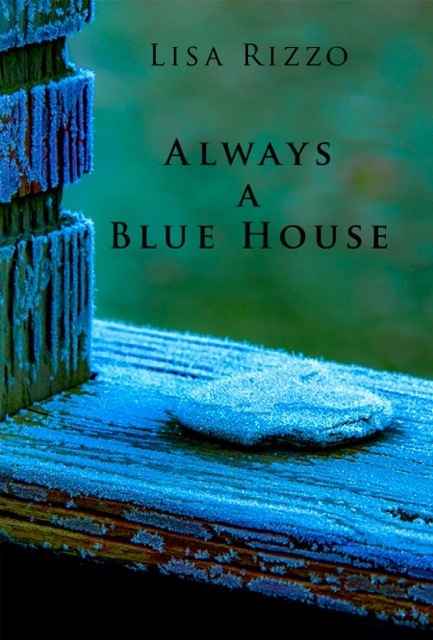 **See Events for additional scheduled workshops/readings; support Saddle Road Press by ordering through my contact page (send me a request) or by coming to one of my events. 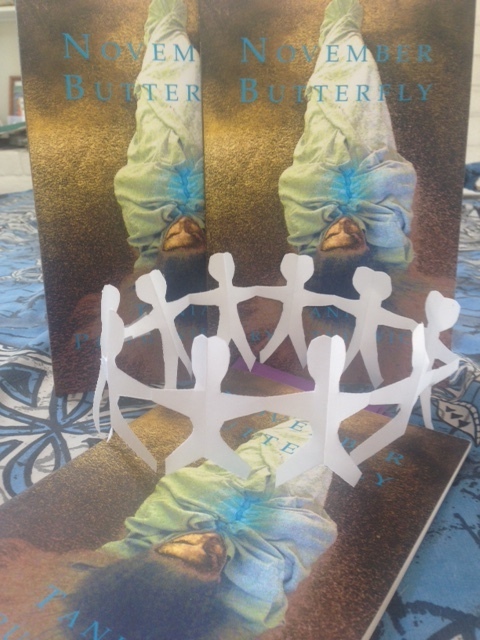 November Butterfly will also be available after November 1st, 2014 from Amazon in paperback and Kindle formats.